“We are now faced with the fact that tomorrow is today. We are confronted with the fierce urgency of now. In this unfolding conundrum of life and history, there ‘is’ such a thing as being too late. This is no time for apathy or complacency. This is a time for vigorous and positive action.” —Martin Luther King, Jr.
Belmont University will hold two weeks of special events in celebration of the Jan. 18 anniversary of Martin Luther King Jr.’s birth date. Using the above quote as a guiding light for the university’s 2016 week, the MLK Commemorative Committee, responsible for planning and executing the week, organized events centered on the urgency of now and the importance of reinvigorating positive action and awareness of race relations. The University’s commitment to celebrating Martin Luther King Jr. through classroom and special events began in 1997 and continues to grow today. The week’s events will feature a special keynote address, “Colorblindness Was Note the Dream: MLK, Black Lives Matter and the Struggle for Racial Equity,” by Tim Wise examining the watering down of Martin Luther King’s message and the way this distortion impedes the struggle for equity and justice in the 21st century. In addition to campus programs, the Corporation for National and Community Service awarded Belmont University a $2,500 grant through Hope Worldwide to complete four MLK Day of Service projects on Jan. 16 in conjunction with Trevecca Nazarene University, Lipscomb University and Vanderbilt University. Mayor Megan Berry, Representative Harold Love and Congressman Jim Cooper will speak to student volunteers from area colleges and universities at Second Harvest Food Bank. Participants will be split between a number of volunteer opportunities aimed at fighting hunger locally at Second Harvest, Feed the Children, The Nashville Food Project and Trevecca University’s Urban Farm and will complete a collaborative art project with veterans at Room in the Inn. Monday, Jan. 18 at 7p.m. – A Candlelight Vigil will be held in the Beaman Student Life Center lobby. 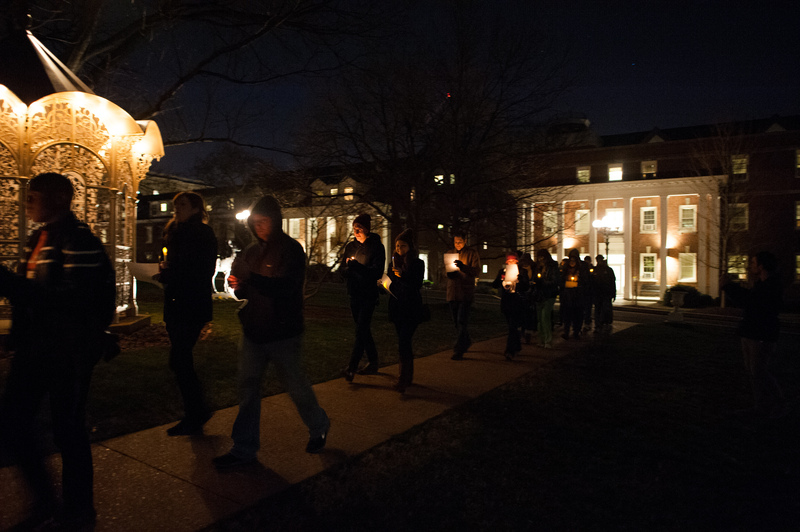 Join Belmont students, staff and faculty, and walk in procession across campus to honor the life and legacy of Dr. King. Tuesday, Jan. 19 at 5:30 p.m. – Tim Wise will deliver the MLK Week Keynote Address, “Colorblindness Was Not the Dream: MLK, Black Lives Matter and the Struggle for Racial Equity” in the McAfee Concert Hall. Wednesday, Jan. 20 at 10 a.m. – A University Chapel event in the Wedgewood Academic Center Chapel, “Race Matters” will be presented by Dr. John Perkins, American civil rights activist and internationally-known speaker, author and teacher in issues of racial reconciliation and Christian community development. Wednesday, Jan. 20 at 6 p.m. – The MLK Worship Service with the Black Student Association will be held in the Chapel. This event will include worship, music and song to commemorate the life and legacy of Dr. King. Thursday, Jan. 21 at 4 p.m. – A campus dialogue on race and ethnicity will take place in the Massey Boardroom. Students, faculty and staff will assemble for an open and frank discussion of how different people at Belmont experience race and ethnicity. Friday, Jan. 22 at 10 a.m. – An academic panel in the Chapel, “In the Beginning: A Discussion on the Early Years of Belmont Women’s Basketball,” will include Betty Wiseman, founder of the women’s basketball program, and members of the first women’s basketball team as they talk about the early years of the program, including the impact of the 1960s’ racial climate. Monday, Jan. 25 at 6 p.m. – A screening of “Selma,” the 2014 American historical drama based on the 1965 Selma to Montgomery march for voting rights, will be held in the Large Johnson Theater. After the film screening, Dr. Pete Kuryla of the History Department will lead a discussion on the film. Tuesday, Jan. 26, Wednesday, Jan. 27 and Thursday, Jan. 28 at 5 p.m. – Real Talk: Getting Beneath the Surface of Diversity will be held in WAC 5008. Real Talk is a confidential frank and honest dialogue about diversity here at Belmont and abroad. Click here to sign-up.